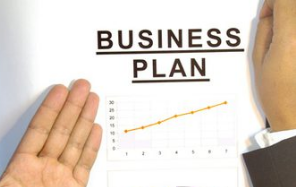 There is no guarantee that the marketing plan will succeed. The results of a marketing plan may take longer to show and this may be frustrating to both the management and the marketing plan. This may lead to the abandonment of the marketing plan before it is fully implemented. The weaknesses of both the management and the business will be laid bare and this can have a negative impact on the fulfillment of the company’s vision. If an improper analysis is done, it could lead to the making of faulty decisions regarding the marketing. An improper marketing plan will also lead to unachievable financial projections especially when the information is wrongly interpreted. It can lead to loss of initiative: due to a pre-arranged marketing plan, it is impossible to come up with a new idea even when the current one is not working. A member of a marketing team who has a better idea cannot air it or implement is due to the fear of going against what has been set by the top management. Though a marketing plan will give directions and make the marketing look more organized, it will make it impossible to change it without due consultation. This will make the marketing team stick with a plan that may not be bearing any fruits in regards to the growth of the business. The marketing team will also be working under undue pressure to ensure that the marketing plan is carried out to the latter even when some clauses are not workable. This will create a lot of tension and it will derail the growth of the business.